reprinted here with permission from the LORD’sPUB. Burnie priest Father Tony Kennedy said hot cross buns were originally eaten on Good Friday to remind people of the day Jesus died on the cross but they had lost much of their religious significance. We all have our traditions. Here at the Lord’s Pub we go by Sola Scriptura. That means that we check against scripture to see what God and His Son have to say about it. Is this a valid way to verify things? Obviously we think so and that’s why we do it. Others follow the tradition of the various denominations, churches, synagogues, or their Granny, mysticism, paganism, or whatever the TV or their mates dictate, etc. etc..
Sola Scriptura is just what we do here at the Lord’s Pub. According to scripture, around the time of the year that Easter is celebrated by Christians is when God told his people to celebrate the Passover and chuck out all their yeast. Not bake buns with it. Nor put a cross on it. All we’re trying to say here is that the Easter tradition of baking buns is not biblical. We’ve never quite been able to figure out what’s so ‘good’ about the day that Jesus was nailed to the cross. Celebrating the day of his resurrection .. yes, I’m with you all the way. But celebrating the day He was nailed to the cross for our sins? No, sorry, I am hanging my head in shame for that one. But hey, I’ve eaten tonnes of buns in my lifetime, hot with lotsa butter and thought that each and every one was very delicious and possibly holy. Never gave it much thought really .. till I started to read scripture, Gods Word, the bible and now, I kinda lost my appetite for them. Each to their own tradition. Here at the Lord’s Pub, we don’t do buns. Below we’ll give some key words so that you can make up your own mind. A hot cross bun, or cross-bun, is a sweet, yeast-leavened, spiced bun made with currants or raisins, often with candied citrus fruits .. They are traditionally eaten on Good Friday. Good Friday is a religious holiday observed primarily by Christians commemorating the crucifixion of Jesus and his death at Calvary. Easter buns is another word for cross buns. Hot cross buns are not mentioned in the bible. According to the Gospel Jesus rose on the third day after his crucifixion. And the angel of the Lord descended from heaven ..
and said unto the women .. He is not here: for he is risen ..
Christians celebrate Jesus resurrection on Easter Sunday. The word Easter is mentioned once in the bible in Acts. 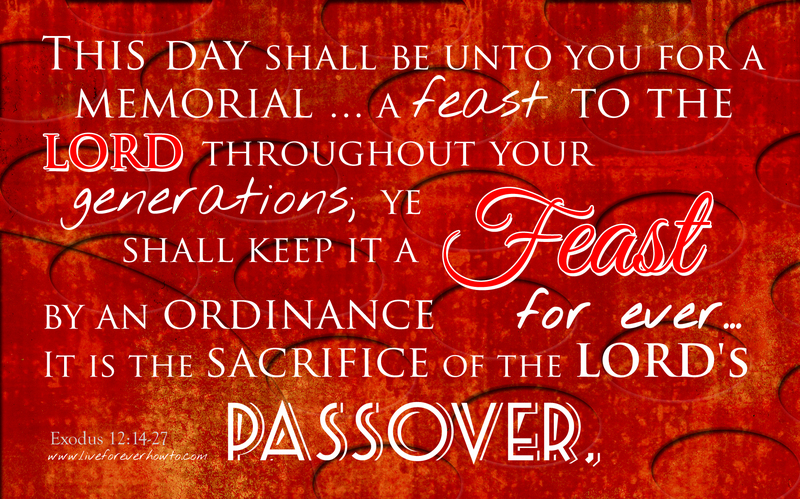 The word Passover is mentioned 72 times in the bible (26 times in the New Testament) with a command to commemorate it forever. The Passover is around the same time of the year as Easter. People who follow God’s Word celebrate their main Feast of the year around this time. The Passover is celebrated according to biblical guidelines and correlates with the biblical feasts commemorating the story of the Exodus in which God’s people were freed from slavery in Egypt. God “passed over” the Jewish homes and spared the first born Israelites from the fate that was in store for their Egyptian counterparts. According to he bible; for the duration of Passover bread without yeast is eaten; for this reason it is called “The Festival of the Unleavened Bread”. Matzo (flat unleavened bread) is a symbol of this Holy Feast which was celebrated during biblical times and still is celebrated by Jewish people worldwide today. You can go to Nehemia Gordon Wall to find a traditional recipe for Matzo bread. Moses tells us in Exodus 12 about the significance of the Passover where a lamb is killed, roasted and eaten and the blood of the lamb struck on the posts of the door .. God’s people stand up and eat in haste, no time for the bread to rise .. as The Lord releases them from slavery, in the first month of the new year. 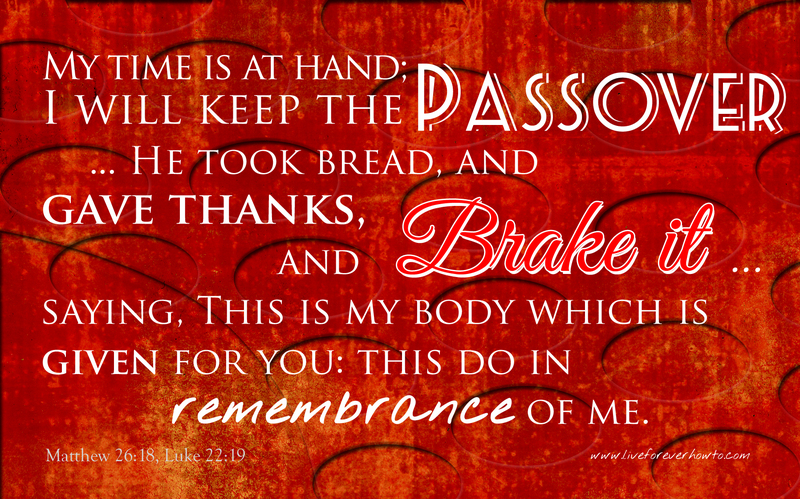 It is the sacrifice of the LORD’s passover. that he should depart out of this world unto the Father..
Burnie priest Tony Kennedy and I have to differ on the religious significance of hot cross buns. We only differ because priest Tony Kennedy appears to be following Christian traditions whilst at the Lord’s Pub we follow biblical traditions and Christian customs don’t always correlate with what the bible tells us. According to scripture, God’s Holy Word, we’re talking about a lamb .. not buns nor bunnies, nor easter eggs. Some people say that Jesus’ crucification finished the celebration of all Holy Feasts. This maybe so according to Christian tradition but the bible tells me differently. According to Moses ‘ye shall keep it a feast by an ordinance for ever,’ and according to Jesus, ‘This do in remembrance of me.’ The bible does not tell me anywhere that one celebration cancels out the other. In Exodus during the time of Moses we’re talking about a lamb being sacrificed in remembrance of deliverance from slavery and oppressors, and in the Gospels during the time of Jesus we’re talking about the Lamb of God who was sacrificed for the sins of this world. For more on this subject read also, Why was Jesus crucified? Which Feast, biblical or not, do you and your family celebrate and why? Share in the comments below please. English folklore includes many superstitions surrounding hot cross buns. Too early to get your Easter treats?